While all of the UFC 230 main card fights are official for Saturday night, two fighters missed weight Friday including one woman who was briefly slotted for the main event at one point. Sijara Eubanks hit 127.2 on the scale, 1.2 pounds over the flyweight limit for her FS1 fight against Roxanne Modaferri. 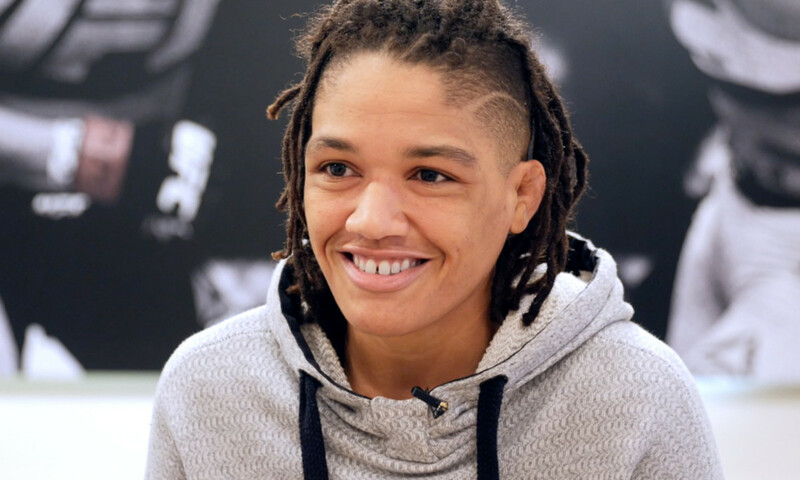 As the UFC searched for a main event for this Madison Square Garden return, Eubanks was tabbed to face Valentina Shevchenko for the vacant women's flyweight title. However, they chose to go in another direction and Eubanks lost her opportunity. Eubanks also didn't make weight for her fight against Nicco Montano in the TUF finale for the then-newly created flyweight title. The Modaferri fight will go on, but Eubanks loses 20% of her fight purse. Bantamweight Brian Kelleher also missed weight for his fight with Montel Jackson, coming in two pounds over. That fight will also go on as scheduled but with Kelleher giving up 20% of his fight purse. On a positive note, everyone else made weight for the event. UFC heavyweight champion Daniel Cormier notably came in at a career high 251.2 pounds for his fight against Derrick Lewis (264.6 pounds). Both men are coming in on short notice for the fight.